Well, it seems to work for him. If he was walking next to me, I'd be afraid that he was some sort of Muslim Fundy with bomb attached. 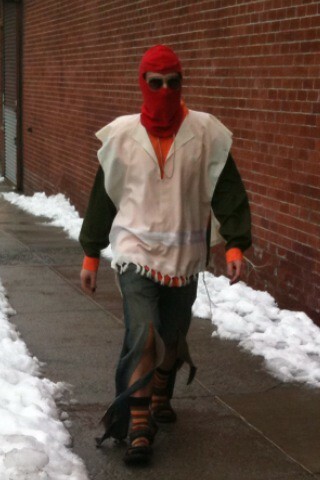 He is wearing a jewish tzitzis but the rest of his outfit is totally out of character. Different indeed!